In a move that is widely viewed as days overdue, it’s been reported that Don Sterling, the owner of the Los Angeles Clippers NBA professional basketball team, has been remanded to San Quentin prison to be summarily executed. For those of my readers not from the USA , you can catch up on the story here, but basically, a few days ago Mr. Sterling made some repulsive racist remarks about blacks to his girlfriend, which she recorded, unbeknownst to him, as girlfriends do, and released to the press, as girlfriends also do. The Commissioner of the NBA immediately issued a lifetime ban on Mr. Sterling, stating he can no longer have any contact with his team. In addition, he was fined 2.5 million dollars, which if you’re keeping track, comes out to about 1.25 million dollars per insult. While the commissioner does not have the power to make him sell the team, the other owners in the league do have that power and are expected to do just that. Having been excoriated by everyone in the country except John Kerry, who was relieved to have his “apartheid remark” scandal sent to page two, Mr. Sterling then suffered the ultimate indignity when he was told he was also banned for life by the famous Bunny Ranch brothel in Nevada. 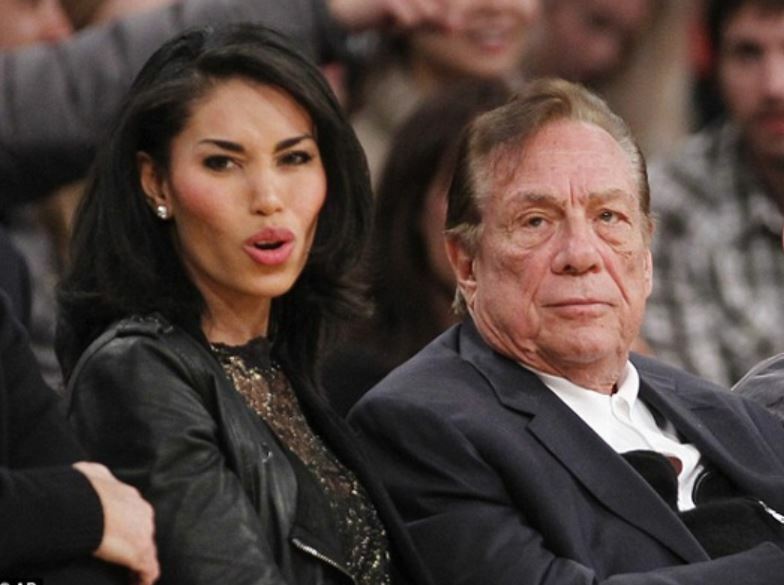 Citing the frequent “visits” to the ranch by the very NBA players he insulted and the ranch’s dedication to screwing people one way or another, the brothel felt it should support their clients by banning Mr. Sterling from the premises. But the story doesn’t end there. Referring to the comments as “beyond egregious” and ignoring all his Constitutional rights, such as right to privacy, freedom of speech, and investigation into evidence, the 9th District Federal Court of California has decided Mr. Sterling should not be banned for life but rather, banned from life. Hence the quick decision to have him executed before he says anything else offensive to the players to whom he pays millions and millions of dollars. This entry was posted in "This just in....", Misc and tagged 9th District Court, Bunny Ranch Brothel, Don Sterling, lifetime ban. Bookmark the permalink. Obviously my spam filter is on the fritz, but if I ever buy a police car, you’ll be the first person I call. He needs to buy new friends. White ones this time, maybe? This is a victim-less event. This society has jumped past politically correct and gone straight to censorship. If these players are really so upset about a private conversation that was racist in tone (like that’s never happened before) then show it by not playing and not collecting your millions. Then I’ll believe you are truly offended. You first comment: very kind. Your second comment: dead on. Not by a long shot. You will see this rolling around the courts for years. You’ve outdone yourself. At least he doesn’t have a cooking show on the food channel. I imagine losing all your lucrative sponsors over night would cause problems with his wife. I was just wondering why his wife has put up with the openness of his affair. Couldn’t be the money could it? Naaahhhh. Be afraid, ducks, be VERY afraid! One good thing about this story is that Cliven Bundy is off the hook. Yes. The electric chair has done that to many a loudmouth. Standard fare when you’re a gazillionaire.